We all drop our phones frequently and if fortunate – the smart devices don’t suffer too much damage. However, an infographic by SquareTrade shows that more than 50 million phone screens are accidentally smashed by Americans. In fact, around 66% of smartphone owners admitted to damaging their phones within the last year. SquareTrade conducted a survey of some thousands of smartphone owners and took their feedback regarding the accidental damages caused to their phones and expected repairs cost. Additionally, smartphone consumers have a misconception regarding the cost of repairs. 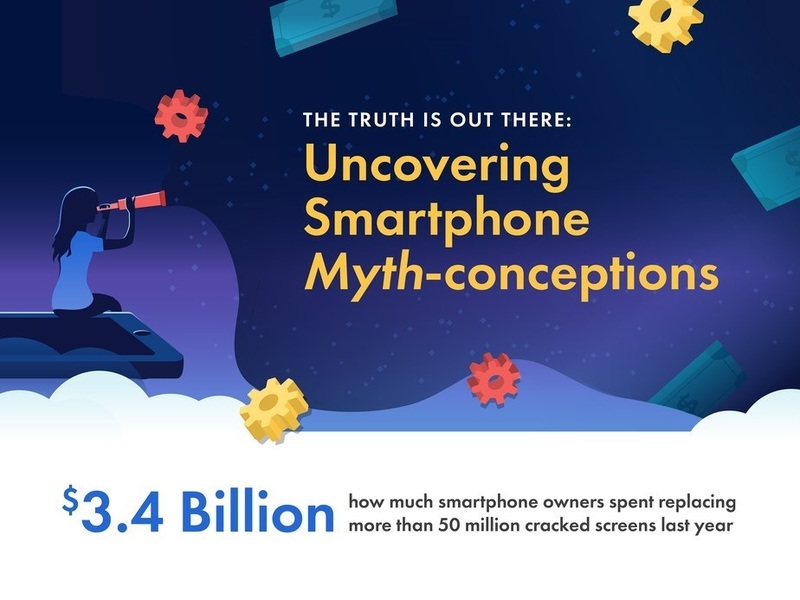 According to the infographic, the majority of the phone owners assume that a cracked screen costs less than $150 to repair while high-end models cost around $300. Above all, smartphone consumers are wary about purchasing protection for their phone and usually leave off repairing damaged phones as long as they are functioning.